Happy Monday! I had a pretty relaxing but productive weekend with a fun volleyball scrimmage tournament and lots of eating, including this awe-inspiring spread from Lighthouse Tofu. Don't worry though, I also got some good workouts in. Besides the volleyball tournament, I had a really productive and almost FUN treadmill run using this interval workout from Self Magazine. Warning: those hill intervals are no joke. Since Thanksgiving is this week, I meal prepped a little less (and lighter) than usual. Because I go hard for Thanksgiving. Three times. Yea it's pretty epic. So here's what I came up with for this week. I am on a serious breakfast bake kick. This week's baked oatmeal features blueberries and coconut, and is just as delicious as last week's Apple Quinoa Breakfast Bake or the Baked Banana Almond Oatmeal I made a few weeks before that. Mix all ingredients (including only half of the divided ingredients) in a large rectangular microwave and oven safe baking dish. Microwave on high for 10 minutes, stirring halfway. Mix the rest of the shredded coconut, sliced almonds and walnuts together, then sprinkle over the oatmeal mixture. This may be my new favorite oatmeal. Despite not having a lot of added sugar, the blueberries give it a nice sweetness and the texture from all the toasty nuts is great. And, despite the additional egg whites for extra protein, it wasn't too "eggy" for the bf. 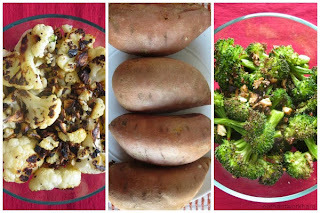 To go with the tofu, I roasted a bunch of broccoli and cauliflower with a little olive oil, garlic, salt and pepper, and baked some sweet potatoes. 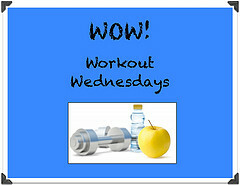 In my last week of Pile on the Miles and I have just over 6 miles to go to reach my goal of 30 miles. I know it doesn't seem like a lot of miles but I'm pretty proud of myself since I've never run this much in a month before. I'm also running a 5K on Sunday to finish my monthly goal of one race 1 day late. Typical. 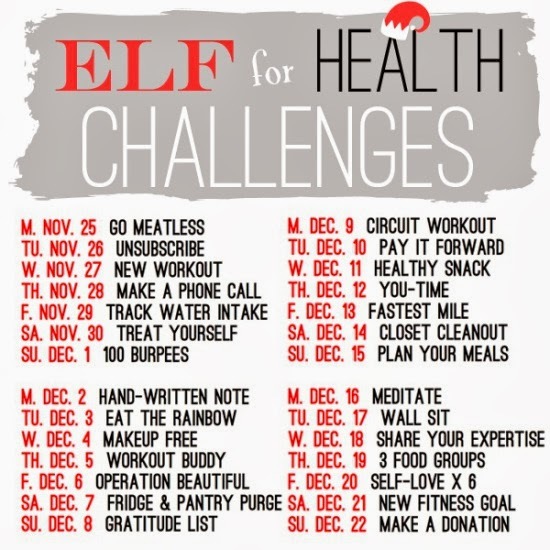 I'm also super excited to start the Elf for Health Holiday Challenge, a four week challenge with a buddy-support system to stay motivated and healthy during the crazy holiday season. 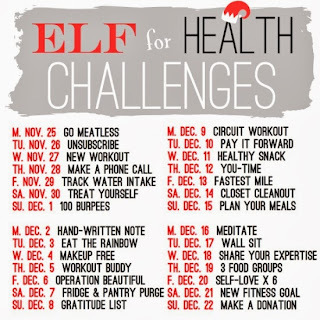 I have a great elf buddy and am really excited to work through the challenges together. Oh and if you're interested, you can still sign up for the second two weeks of the challenge at the link above. Here's a brief look at the daily tasks. 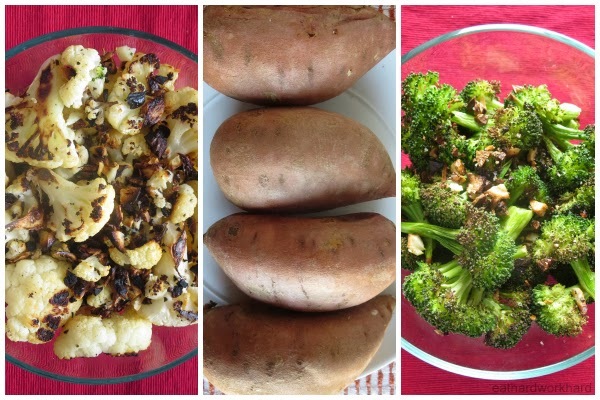 Q: How are you staying healthy through the holidays? 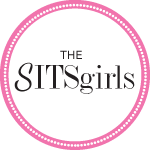 I found your blog through Elf 4 Health and I'm so glad I did! This baked oatmeal looks amazing. 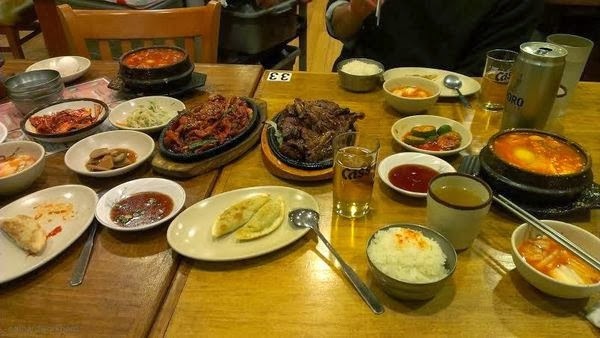 I make my own version but have never thought to add coconut. That's next on my list of add-ons! Yay glad to meet a fellow elf in the blogosphere :) Let me know how you like it if you end up trying out the coconut!